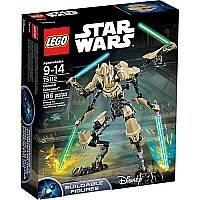 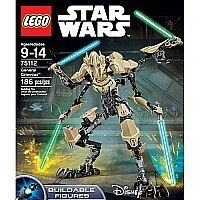 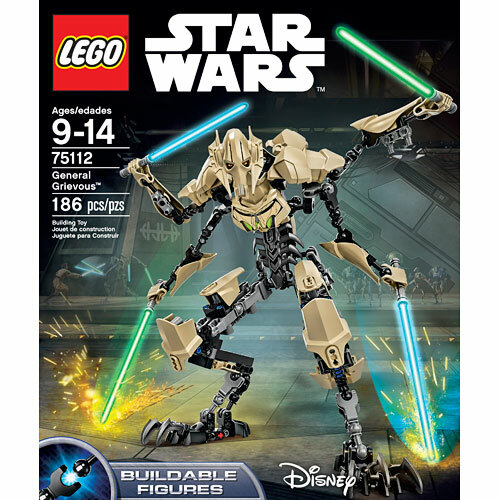 Lead the Separatist Droid Army with super-tough General Grievous as you've never seen him before! This amazing buildable LEGO version of the feared Supreme Commander features fully posable limbs, 2-into-4 separating arms and 4 buildable Lightsabers. 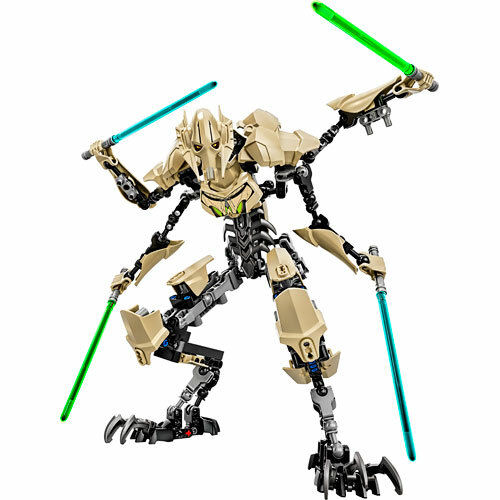 This ultra-fast General is ready for intense battle! Measures approximately: 8.74 x 10.31 x 2.44 inches..